Opened in 2008. Newly renovated in 2011. 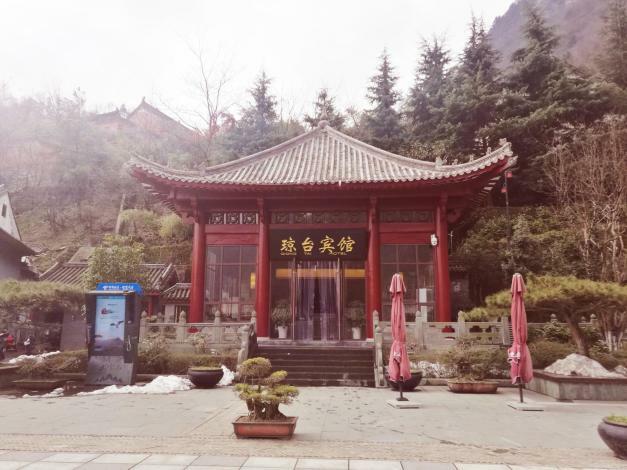 Located in Wudangshan Mountain, the Wudangshan Qiongtai Hotel (Wudangshan Qiongtai Binguan) is 50 km from Wudangshan railway station. This hotel offers several rooms completed with central air conditioners, international direct-dial phones, mini bars and in-room safes as well as wifi internet access. Guests can enjoy both Chinese and Western cuisines while dining on-site. When it comes to recreation, guests can enjoy foot massage, play chess or watch video in video room.